Introducing 25 Beacon, Boston's most prestigious new address directly overlooking the State House gardens and Boston Common. A boutique building of just six exquisite homes, 25 Beacon offers floor-through residences that are splashed with sunlight from three exposures. Superior design is matched by quality construction, superb craftsmanship, the latest technology and the finest finishes and fixtures. Luxurious amenities include an on-site garage with valet parking for two cars, 24-hour doorman, direct elevator access, dedicated storage rooms, bike storage, wine cellar and fitness room. To live at 25 Beacon will be to enjoy a Beacon Hill rarity: 21st century comfort in an 18th century neighborhood. Unit PH includes 559 SF Au Pair Suite, private balconies, and private roof deck. I have a question about the property at 25 Beacon Boston MA 02108 (#71976899). I would like to schedule a visit for the property at 25 Beacon Boston MA 02108 (#71976899). Over time, as more and more land succumbs to development, it is becoming extremely rare to find large and intact estates within close proximity to Boston. Historic Homes is proud to present one such estate. This spectacular hilltop property on Green Hill was part of the country estate of Isabella Stewart Gardner and George Gardner III. The four bedroom Federal Style carriage house dates back to the early 1800's and the main house was constructed in 1999. This magnificent property on over 4 acres offers the ease of gracious living, the beauty of rolling lawns, mature trees and stone walls in a setting of complete privacy minutes from Boston. Aside from its incredible setting, what sets this home apart from all others is the quality of the construction, the manner in which it fits the way we live and the visual pleasure it projects both inside and out. A large workout room and half court basketball gym are just a few of the many amenities of this 4+ acre estate. Listed by Miceal Chamberlain and Conor Chamberlain of Historic Homes, Inc. I have a question about the property at 255-257 Warren Street Brookline MA 02445 (#71744246). I would like to schedule a visit for the property at 255-257 Warren Street Brookline MA 02445 (#71744246). A rare opportunity to own one of the finest luxury homes in the city of Boston. Situated on Back Bay's toniest residential street, the exterior of 130 Commonwealth Avenue evokes the timeless elegance of 18th century Parisian architecture. Part of the famed "Commonwealth Sisters", the home's beautifully carved limestone façade stands apart from its brownstone neighbors. The finishes in the home were executed flawlessly in recent renovations by a skilled architect and artisans, whose attention to detail is stunning. Amenities of the home include 5 fireplaces, a 2,200 bottle wine cellar, a private elevator. With 12 total rooms, 5 bedrooms, 6 full bathrooms, 2 half bathrooms, and 6 parking spaces, this spectacular single family home is a true mansion in the heart of Back Bay. For the uncompromising buyer or a visionary developer, 130 Commonwealth Avenue offers a rare opportunity. I have a question about the property at 130 Commonwealth Avenue Boston MA 02116 (#71570325). I would like to schedule a visit for the property at 130 Commonwealth Avenue Boston MA 02116 (#71570325). 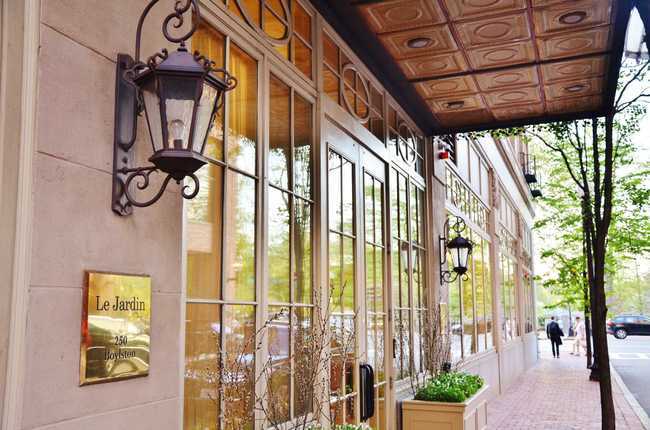 Le Jardin, a desirable and rarely available luxury residence in this boutique building overlooks the landmark Public Garden and its Swan Boats on the Lagoon with views to the downtown skyline. Expansively sized with 4,841 square feet, directly accessed from 2 elevators, this pristine and elegantly detailed residence combines the feel of a private home with full services including 24 hour concierge/valet. Facing the park, the bright cornered living room with marble fireplace is open to the banquet sized dining room, served by the chef's kitchen with adjoining family room. A wet bar is between the office and beautiful media room/library. In the separate bedroom wing, the corner master suite creates a luxurious light-filled retreat with 2 dressing rooms and 2 marble baths. The residence includes many special features as well as 2 valet garage parking spaces. I have a question about the property at 250 Boylston Street Boston MA 02116 (#X94076932). I would like to schedule a visit for the property at 250 Boylston Street Boston MA 02116 (#X94076932). 39-41 Mt Vernon Street is a 23,013 square foot six-story building located at the intersection of Mount Vernon Street and Joy Street. Designed by architects Brainerd & Leeds; William A. Root & Henry A. Root; Oscar A. Thayer the building was constructed in 1917 for the International Society of Christian Endeavor, known as the World's Christian Endeavor Building. 39-41 was later purchased from Little, Brown and Company by the Unitarian Universalist Association in 1998 as the home of their publishing house the Beacon Press. The offering abuts the Massachusetts State House front lawn and is located just steps from Boston Common, the world-renowned Massachusetts General Hospital (MGH), Mass Eye & Ear, the Financial District, Suffolk University and countless other amenities including Whole Foods Market, CVS Pharmacy, Starbucks and the many local shops and restaurants along Charles Street. I have a question about the property at 39-41 Mount Vernon Street Boston MA 02108 (#71584108). I would like to schedule a visit for the property at 39-41 Mount Vernon Street Boston MA 02108 (#71584108). One-of-a-kind Beacon Hill townhouse overlooking Boston Common. Complete with elevator to all levels, 4-car heated garage, garden terrace and 2 decks, this 10,000 +/-SF home offers updated and luxurious family living in Boston's most historic neighborhood. Beyond the stately entrance and formal dining room on the first level is the French country-style kitchen open to the family room with glassed-enclosed eating area overlooking the spacious bluestone terrace. The high parlor level features the grand double living room with adjacent wet bar, mahogany paneled study and private office. A total of 6+ beds and 6 full and 2 half baths include the spacious master with expansive closet and en-suite bath, as well as garden level au pair suite. Additional features include a media room, laundry on # different levels, 8 fireplaces and stunning period details that exude Beacon Hill charm. I have a question about the property at 56 Beacon Street Boston MA 02108 (#71802457). I would like to schedule a visit for the property at 56 Beacon Street Boston MA 02108 (#71802457). The Alexandra is an exquisite classic property in Boston's thriving South End neighborhood that offers over 30,000 SF of redevelopment potential. 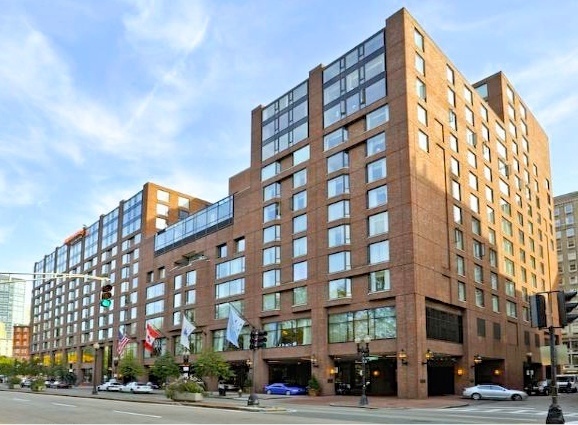 Formerly a luxury residential hotel in the era of high society in Boston, The Alexandra features five stories on a prominent and highly-trafficked corner location well-positioned for retail use. The 5,167 SF footprint is complimented by a 2,858 SF abutting lot with significant development potential. Located on the corner of two major Boston Roadways Washington Street & Massachusetts Avenue, the Alexandra is within minutes to some of the city's top dining destinations including Toro, Flour Bakery & Cafe, and Seiyo Boston. Additionally, local neighborhood amenities are in close proximity by foot of public transportation including Whole Foods, Starbucks, and boutique shopping & fitness destinations. I have a question about the property at 1769 Washington Street Boston MA 02118 (#72280971). I would like to schedule a visit for the property at 1769 Washington Street Boston MA 02118 (#72280971). I have a question about the property at 40 Beacon Boston MA 02108 (#72468330). I would like to schedule a visit for the property at 40 Beacon Boston MA 02108 (#72468330). Currently under construction, this meticulously designed 4+ bedroom home is located in a premiere boutique style building shared with only 3 other homeowners, all rising above a name synonymous with style - Chanel. Rare opportunity to own 6,100 square feet on one floor with 80 feet of Newbury Street frontage and direct views into the Public Garden.The spacious floor plan is contemporary in design with direct elevator access, front-facing floor-to-ceiling windows and grand entertaining rooms, featuring an open concept living / dining/ eat-in kitchen and fireplaced family room. Four luxurious bedrooms suites, wine storage, home office, mud room, luggage storage and valet parking are a few features that set this home apart. An opportunity not to be missed. I have a question about the property at 6 Newbury Street Boston MA 02116 (#71968905). I would like to schedule a visit for the property at 6 Newbury Street Boston MA 02116 (#71968905). The Isabella, located at 27-29 Isabella Street, is a redevelopment opportunity centrally located in the Bay Village neighborhood of Boston. The opportunity consists of approximately 23,136 SF on the corner of Columbus Ave & Isabella Street. Built in 1883, The Isabella presents an unsurpassed opportunity to redevelop a classic, free-standing, centrally located building in one of the most desirable locations in Boston. I have a question about the property at 27-29 Isabella Street Boston MA 02116 (#72073006). I would like to schedule a visit for the property at 27-29 Isabella Street Boston MA 02116 (#72073006). I have a question about the property at 1 Franklin Street Boston MA 02110 (#71946334). I would like to schedule a visit for the property at 1 Franklin Street Boston MA 02110 (#71946334). I have a question about the property at 80 Walnut Avenue Boston MA 02119 (#72339551). I would like to schedule a visit for the property at 80 Walnut Avenue Boston MA 02119 (#72339551). I have a question about the property at 89 Marlborough Street Boston MA 02116 (#72429651). I would like to schedule a visit for the property at 89 Marlborough Street Boston MA 02116 (#72429651). I have a question about the property at 1 Franklin Street Boston MA 02110 (#71936711). I would like to schedule a visit for the property at 1 Franklin Street Boston MA 02110 (#71936711). Introducing the Penthouse at the Thayer Mansion, the epitome of luxury living on Commonwealth Avenue in Boston's Back Bay. Comprising two levels each with direct elevator access, the Penthouse offers over 4,000 square feet with three-plus bedrooms and three full and two half bathrooms, plus an expansive 926 square foot private roof deck with fireplace and grill. The Penthouse offers a wonderful contemporary aesthetic within a magnificent Peabody and Stearns mansion, featuring the latest residential technologies, finest finishes and stunning architectural details including the curving main staircase and an oversized skylight that fills the entire living, dining and entertaining level with light. Two tandem garage parking spaces are included and there is a one-bedroom garden suite available as an additional purchase. I have a question about the property at 305 Commonwealth Boston MA 02115 (#72392503). I would like to schedule a visit for the property at 305 Commonwealth Boston MA 02115 (#72392503). Palatial historic townhouse on Louisburg Square, one of the most prestigious of neighborhoods in the country. The Square itself is a serene oval park surrounded by an iron fence and accessible only by proprietors. With its exquisite detail, delicate moldings, graciously ample rooms, this house projects utmost elegance in living. The grand formal rooms are ideal for entertaining. A wonderful kitchen overlooks the garden, and a roof deck has dramatic views of Boston and the Charles River. Two exclusive parking spaces at the front door. I have a question about the property at 13 Louisburg Square Boston MA 02108 (#71854263). I would like to schedule a visit for the property at 13 Louisburg Square Boston MA 02108 (#71854263). I have a question about the property at 1 Franklin Street Boston MA 02110 (#72234742). I would like to schedule a visit for the property at 1 Franklin Street Boston MA 02110 (#72234742). I have a question about the property at 6 Arlington Street Boston MA 02116 (#72326524). I would like to schedule a visit for the property at 6 Arlington Street Boston MA 02116 (#72326524). This rare Commonwealth Avenue Building Opportunity is complete with 4 rows of tandem outdoor parking. Located between Clarendon and Dartmouth Streets, 122 Commonwealth Avenue offers five levels from the garden up to the fourth floor with a living area of 7,825 square feet. The extra-wide building is currently leased as office space with much historic detail in tact, including the grand central staircase, elegant fireplaces and moldings, and well-proportioned rooms with high ceilings and dramatic windows. Located on a highly desirable block of Commonwealth, this is an exceedingly unique opportunity for a trophy single-family residence, condo conversion, or continued use as a commercial property. The building is currently zoned as commercial space. The property is being sold as is and where is with all faults. I have a question about the property at 122 Commonwealth Avenue Boston MA 02116 (#72313460). I would like to schedule a visit for the property at 122 Commonwealth Avenue Boston MA 02116 (#72313460). I have a question about the property at Four Seasons Place Boston MA 02116 (#13467982). I would like to schedule a visit for the property at Four Seasons Place Boston MA 02116 (#13467982). I have a question about the property at 448 Beacon Boston MA 02115 (#71940377). I would like to schedule a visit for the property at 448 Beacon Boston MA 02115 (#71940377). Introducing 25 Beacon, Boston's most prestigious new address directly overlooking the State House gardens and Boston Common. A boutique building of just six exquisite homes, 25 Beacon offers floor-through residences that are splashed with sunlight from three exposures. Superior design is matched by quality construction, superb craftsmanship, the latest technology and the finest finishes and fixtures. Luxurious amenities include an on-site garage with valet parking for two cars, 24-hour doorman, direct elevator access, dedicated storage rooms, bike storage, wine cellar and fitness room. To live at 25 Beacon will be to enjoy a Beacon Hill rarity: 21st century comfort in an 18th century neighborhood. This 2nd floor unit comes with a private au pair suite. I have a question about the property at 25 Beacon Boston MA 02108 (#72256005). I would like to schedule a visit for the property at 25 Beacon Boston MA 02108 (#72256005). Enjoy Boston's finest views from this Ritz Carlton Penthouse. Located atop the South Tower, on the 39th floor, Penthouse 2A combines the Ritz Carlton tradition of excellence with an expansive floor plan and the finest panoramic views in Boston. The residence features 4703 square feet of living space plus a private 261 square foot sky deck and contains five bedrooms and five-and-a-half bathrooms. The showpiece home is ideal for entertaining, featuring dramatic and spacious living rooms with high-end customizations, a separate formal dining room and large chef's kitchen, all surrounded by windows. As a resident, enjoy the finest amenities the city has to offer: 24-hour concierge and doorman, Ritz Carlton Hotel Services, Equinox fitness & spa, and a dynamic location just steps from Boston Common and the bustling theaters, restaurants and shops of Midtown. Three valet garage parking included. I have a question about the property at 2 Avery Street Boston MA 02111 (#72231523). I would like to schedule a visit for the property at 2 Avery Street Boston MA 02111 (#72231523). This Peabody and Stearns townhouse masterpiece is available for the first time in almost 30 years. Located on Commonwealth Avenue's highly desirable Sunny Side, this expansive, 13,000+/- square foot home is rich in original detailing, containing graciously scaled formal entertaining rooms that remain a lasting testament to Gilded Age opulence. The home is currently configured with 9 bedrooms and a magnificent central staircase connecting the three main living and bedroom levels. A second staircase also connects to the expansive garden and top levels. Complete with an existing shaft for lift/potential elevator and parking court for two vehicles, this townhouse presents an exceptional opportunity in the heart of Back Bay. The sale will be conducted by a sealed bid process, and bids are due on Friday 10/30/2015 at noon. The property is to be sold as is and where is, and with all faults. I have a question about the property at 305 Commonwealth Avenue Boston MA 02115 (#71917392). I would like to schedule a visit for the property at 305 Commonwealth Avenue Boston MA 02115 (#71917392). Rare opportunity to own or joint-venture /recapitalization of Clippership Wharf, a residential waterfront development opportunity in East Boston, Massachusetts. This 11.95-acre site is fully approved for the development of 400 market-rate, residential units. The developer is in active discussions with the Boston Redevelopment Authority (BRA) to modify the existing permits to accommodate 288 rental apartment units. I have a question about the property at 26-65 Lewis Boston MA 02128 (#71358493). I would like to schedule a visit for the property at 26-65 Lewis Boston MA 02128 (#71358493).